Synopsis: Thalli has fifteen minutes and twenty-three seconds left to live. The toxic gas that will complete her annihilation is invading her bloodstream. But she is not afraid. Thalli is different than others in The State. She feels things. She asks questions. And in the State, this is not tolerated. The Ten scientists who survived the nuclear war that destroyed the world above believe that emotion was at the core of what went wrong—and they have genetically removed it from the citizens they have since created. Thalli has kept her malformation secret from those who have monitored her for most of her life, but when she receives an ancient piece of music to record as her community’s assigned musician, she can no longer keep her emotions secreted away. 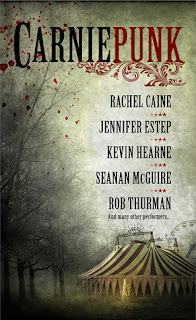 Synopsis: A star-studded urban fantasy anthology featuring bestselling authors Rachel Caine, Rob Thurman, Seanan McGuire, Jennifer Estep, and Kevin Hearne, whose stories explore the creepy, mysterious, and, yes, sometimes magical world of traveling carnivals. The traveling carnival is a leftover of a bygone era, a curiosity lurking on the outskirts of town. It is a place of contradictions—the bright lights mask the peeling paint; a carnie in greasy overalls slinks away from the direction of the Barker’s seductive call. It is a place of illusion—is that woman’s beard real? How can she live locked in that watery box? And while many are tricked by sleight of hand, there are hints of something truly magical going on. One must remain alert and learn quickly the unwritten rules of this dark show. To beat the carnival, one had better have either a whole lot of luck or a whole lot of guns—or maybe some magic of one’s own. Featuring stories grotesque and comical, outrageous and action-packed, Carniepunk is the first anthology to channel the energy and attitude of urban fantasy into the bizarre world of creaking machinery, twisted myths, and vivid new magic. Three books this week. 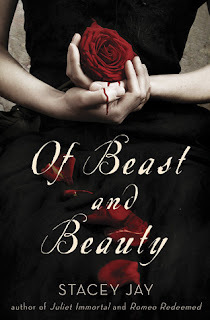 And three books that I can't WAIT to read!! All three look so amazing! The sooner I get my hands on them, the better. What do you think of this weeks picks? Let me know in the comments. I'm looking forward to Carniepunk too! I WoW'd it last week! 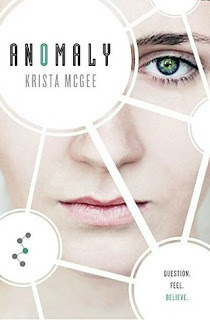 I think I would like to read all three of these but especially the Krista McGee. I've read two of her books before and this one sounds like quite a change!